The project will improve safety and mobility at three key intersections on North Main Avenue (U.S. Highway 550) in Durango. Intersection upgrades on U.S. 550 (Main Ave.) continue, even as snow is making an impact in town. 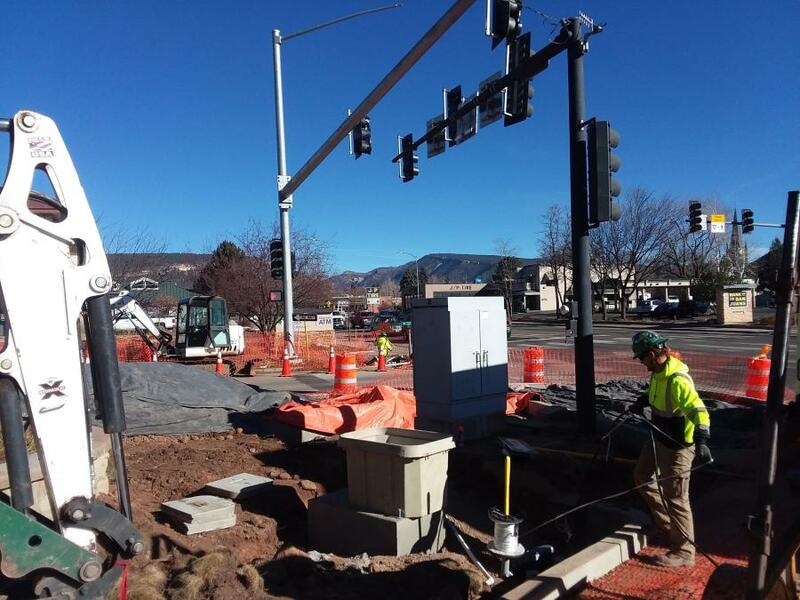 CDOT and contractor Kirkland Construction have installed the new signal mast arms at all four approaches at both 17th and 22nd streets. Excavation continued during good weather facilitating the installation of conduit and new signal cabinets. at 32nd, new/upgraded pavement markings between East 2nd Avenue and the intersection providing two left-turn lanes onto southbound Main Avenue, one shared through/right turn-lane, and a small raised island at the intersection designating a free-flow right turn onto northbound Main Avenue (U.S. 550).